Embroidery machines are available from a wide range of manufacturers and suppliers. 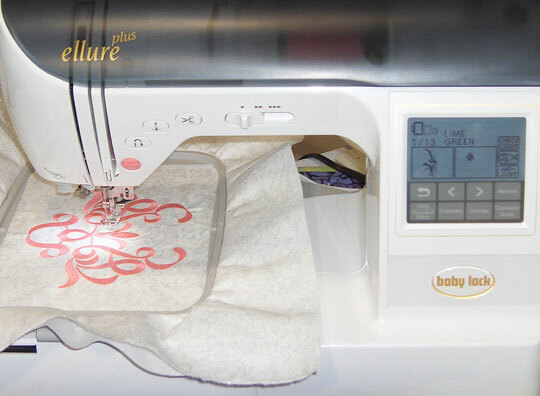 Browse the popular home and commercial embroidery machine manufacturers and compare features, specifications, and options. This Japanese manufacturer offers home sewing and embroidery machines as well as sewing and embroidery combos, digitizing software, and embroidery design cards. Offers several embroidery machine models, plus embroidery designs, accessories, and software. Featuring superior performance and ease of use, they open up a world of creative ideas for those who love embroidery. Premier supplier of quality embroidery machines, software, and accessories. Whether you need a stand-alone embroidery machine or a combination sewing and embroidery system, this manufacturer has the tools to suit your needs. Their embroidery systems can be teamed with embroidery software, for greater flexibility. The Elna sewing machine category hosts a wide range of products, ranging from basic mechanical models to high tech computerized ones, capable of sewing intricate embroidery work. Husqvarna Viking sewing and embroidery machines afford opportunities to develop your creativity and personal style. With their wide range of embroidery disks, you'll never be at a loss for an embroidery design. Their embroidery software programs are easy to use on your computer, and enable you to design, customize, edit and digitize embroidery designs. This leading sewing equipment manufacturer offers a wide range of technologically advanced sewing and embroidery machines. Global sewing products company offers a wide selection of sewing and embroidery machines to meet the needs of every sewing enthusiast. This embroidery solutions provider offers a complete line of entrepreneurial and commercial embroidery equipment. Find the modular AMAYA embroidery machine, digitizing software, embroidery components and supplies, and technical support, as well as training and leasing for embroidery businesses of every size. This vendor's embroidery machines are well-known for their craftsmanship, durability and the production capability that they afford their owners. This embroidery machine distributor features a selection of commercial-grade embroidery machines. Choose from compact and full sized single head embroidery machines as well as single head business start-up value packages that include everything you need to get your embroidery business up and running. Supplies a comprehensive range of commercial embroidery machines, software, education, parts, supplies, and service.